A stay in a Camp Wilderness cabin is not exactly roughing it. Each cabin features two bedrooms, one with a double bed and the other with two bunk beds, as well as a futon couch that converts into a double bed (linens not provided) in the living room and can accommodate up to eight guests. These fully appointed cabins also have a kitchenette featuring a sink, range stove top, microwave, coffee maker and a mid-size refrigerator plus a dining room table with four chairs. Satellite television, air conditioning, a restroom with shower and hot water plus a front porch swing round out the amenity set. Camp Wilderness features RV, Pop-up and Tent Sites and can accommodate RVs up to 40 feet in length. 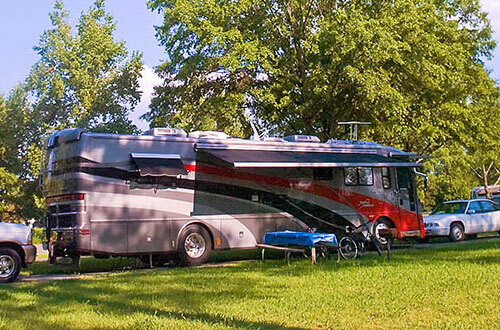 The paved RV sites feature full hookups with water, sewer and electric. Fifty of the sites have upgraded, 50-amp service. We do also have a limited number of sites with 30-amp service for tents and pop-ups. Every site also features a charcoal grill. Pets are not permitted in Cabins/GWL. Ground fires are not permitted, however fire pits are permitted and can also be rented from the store. Smoking is not permitted in Cabins/GWL. For RV Sites, check-in is after 1pm and check-out is by 12pm. 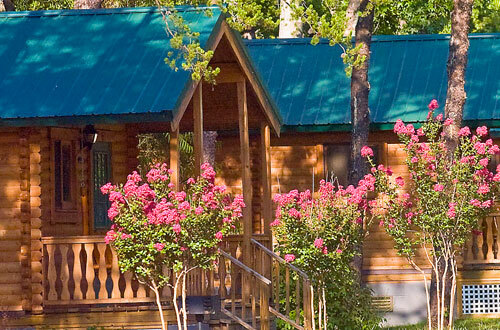 For Cabins & Great Wilderness Lodge, check-in is after 4pm and check-out is by 11am. We will make every attempt to accommodate any special requests. However, these requests are not guaranteed. A $25 cancellation fee is charged for any reservation that is cancelled. We require 72 hours prior to date of arrival cancellation notice for a partial refund. Your partial refund will be your deposit minus a $25 cancellation fee. If you cancel less than 72 hours prior to date of arrival, the amount of the first night room/site charge with tax will be forfeited. Take I-77 to SC exit #90 at the North Carolina/South Carolina border. The park is just 15 minutes south of Uptown Charlotte and 15 minutes north of Rock Hill, SC. 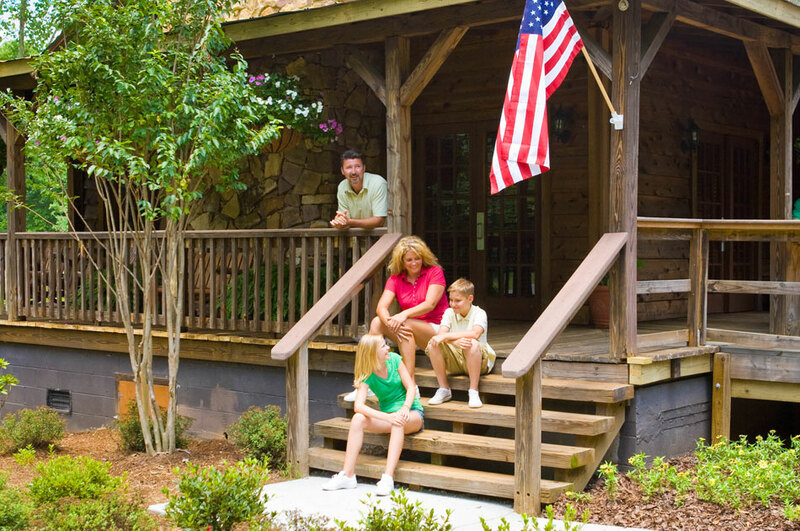 Carowinds Camp Wilderness is accessed from Catawba Trace. When approaching from I-77, Catawba Trace is on the right after the main entrance to Carowinds. Camp Wilderness Guests should not use the main entrance of Carowinds.